Earlier this month, Natus Vincere lifted the Paladins World Championship trophy after a decisive 4-0 victory against Fnatic. 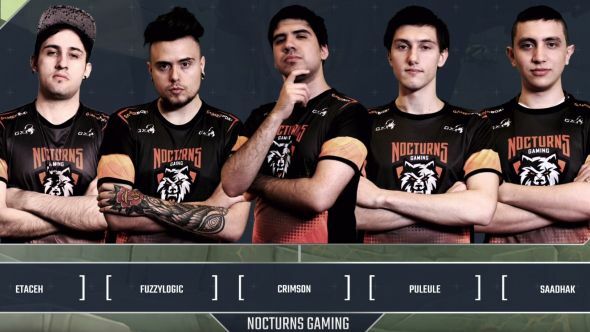 But while the new champions’ achievements should not be taken for granted, the best story to come out of the tournament was that of Latin American team Nocturns Gaming. Nocturns did not come into the competition as outright underdogs, but they were clearly not expected to make much of a splash, arriving in Atlanta as the second-lowest seeded team of the entire tournament. Commentators and analysts I spoke to at the event admitted afterwards that Nocturns had achieved much more than many had thought them capable of. Paladins: Battlegrounds is a new battle royale game mode coming to Hi-Rez’s hero shooter. After an early defeat in the tournament’s second round – which saw the Latin Americans drop into the losers’ bracket of the double-elimination tournament – the general assumption was that Nocturns would suffer an early exit from the tournament. That was not, however, an assumption Nocturns shared. In the first round of the competition, Nocturns secured a relatively simple 2-0 win against China Honor, but their fortunes rapidly reversed in the next round, as they suffered a 0-3 defeat to the Russian esports powerhouse Virtus.Pro. Founded in 2003, Virtus.Pro currently field teams in eight different esports, and is one of the oldest and most-established esports organisations in the world, with a budget in the hundreds of millions. By contrast, Nocturns were founded in 2015 and only actively field three teams. Based in Argentina, the team live and typically play a long way from Hi-Rez’s Brazilian servers, meaning they regularly play with latencies far higher than their European counterparts. Before they even arrived at the tournament, the odds seemed stacked against them. The loss to Virtus.Pro sent them into the losers’ bracket, where a single defeat would mean the end of their tournament run. The first two matches of that bracket could barely have gone better, however, as Nocturns secured back-to-back 3-0 victories against Renegades and Kanga Esports. Meanwhile, however, Virtus.Pro suffered a defeat at the hands of Ninjas in Pyjamas, and were themselves relegated to the losers bracket, where they would once again face off against Nocturns. This time, however, the Latin American team were prepared for the challenge. Truppo says the team spent the hours between days “watching VODs from the teams we were against to learn what we could do against them,” and stayed focused on their strategies between games, during broadcast days lasting anything up to 17 hours. During the second clash, Nocturns dominated Virtus.Pro during games one and two, eventually claiming a 3-1 victory after a brief slip-up in a hard-fought third game to secure their spot in the semi-finals. On the other side of the tournament bracket, Ukranian team Natus Vincere claimed their place against Nocturns in the finals. Na’vi boast some significant first-person shooter prestige, with their Counter-Strike: Global Offensive team being the first ever to win three major tournaments in one calendar year in 2010. 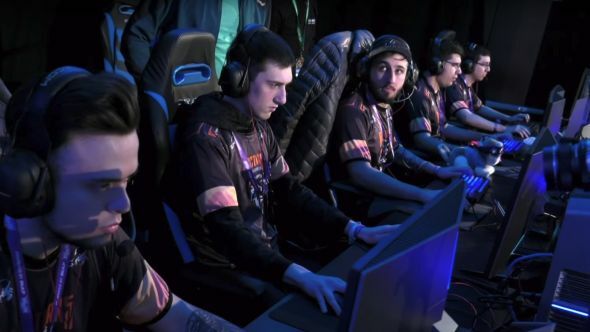 Their Paladins team had progressed to the semi-finals almost without a hitch, dropping only two games in three straight victories against Entity Gaming, China Dream, and G2 Esports. Their roster included previous World Champion player Spunkki, who was hoping – if not expecting – to add a second title to his name after winning the inaugural Paladins World Championship in 2017. The semi-final match between Nocturns and Na’vi was by far the most close-fought of the entire tournament. An epic, nail-biting set of games saw Na’vi go ahead time after time, yet Nocturns were always able to answer back. Over the first six games, Nocturns were not only able to hold on, but repeatedly take points away from Na’vi (including a three-point comeback to save game six), tying the score up at 3-3, and forcing a deciding game. In game seven, Na’vi claimed the first point with relative ease, but Nocturns were able to defend, taking the total to 1-1. Next, Na’vi took the checkpoint to 99%, before a reply from Nocturns saw them reach 93%. However, a decisive flank from Mutu, playing Buck, secured the point for Na’vi, taking the score to 2-1, before a successful payload push took the Europeans to 3-1, and therefore match point. A final successful round for Na’vi saw them claim the game 4-1, and win the match by four points to three, securing them a spot in the final. In that game, their emphatic, near-flawless victory was hardly the gripping climax the tournament deserved. It is worth remembering that, by the time Nocturns came up against Na’vi, the Latin American team had played nearly twice as many matches as their European opponents. Yet they still managed to mount a challenge, holding their own not just in group stages, but actively competing for the title itself. Based on their performance against Na’vi, I have little doubt that, had the semi-final gone only slightly differently, Nocturns would have beaten Fnatic in the final. That is a goal they have clearly set themselves for the new season; Truppa tells me the team “are expecting to travel to more international events and give an even better performance.” From what I saw at this year’s tournament, that is a very real possibility, and one worth watching out for.